Having a child is a monumental moment in life. You often wonder what your child will be like, if they’ll be healthy and what sorts of games they’ll like to play when they finally become a toddler. And we know that there’s a small part of you that hopes they’ll be an Autobot. Yes, it’s okay. We know that you secretly dreamed of having a Transformer as your child. It’s such a crazy thought, that you’ve probably never shared it with anyone else, but we understand. Autobots are awesome and if your kid was one, well that would be a dream come true. That’s why we have this Optimus Prime toddler costume. It allows you to live your dream of turning your child into one of the Transformers. 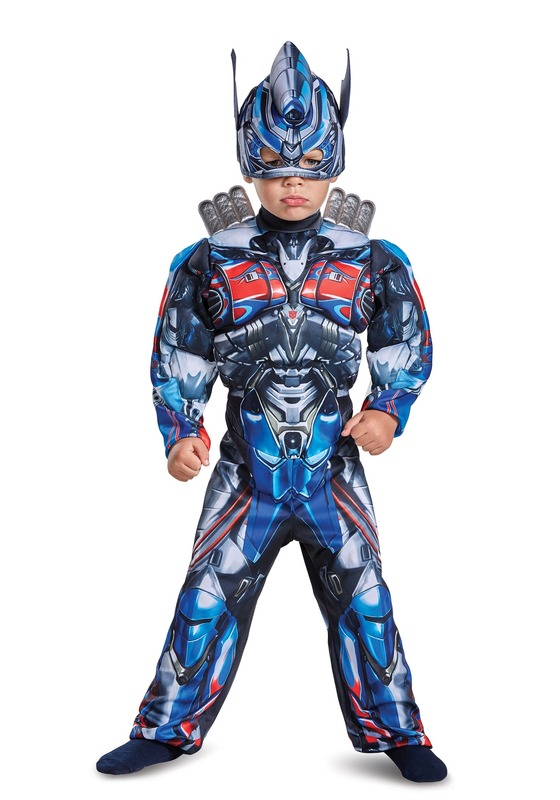 Now, this Optimus Prime toddler costume is some serious business. 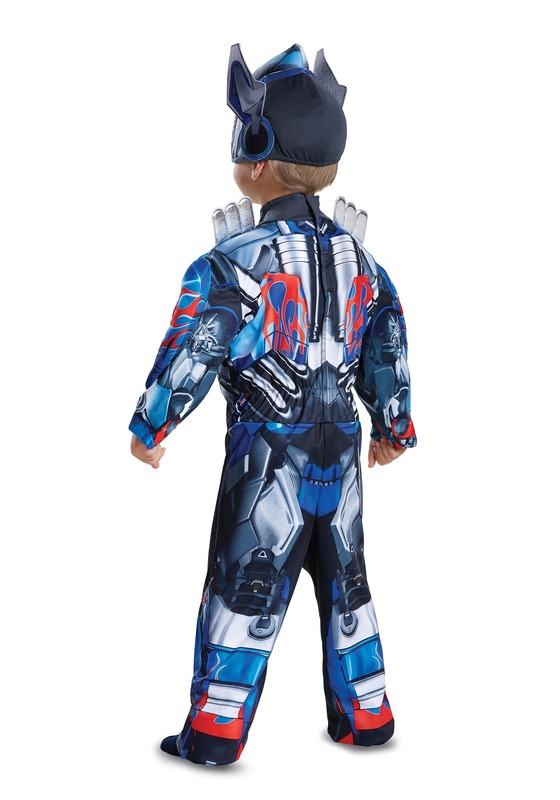 The costume comes with a polyester jumpsuit with padding in the chest, to give your kid a muscled-up robot style. Printing on the entire exterior makes your kid look like he’s ready to roll out. The mask fits over your child’s face and has a pair of eye holes in front. When your child is all suited up, nothing will be able to stop him from facing off against the evil Decepticons. Make sure your little robot in disguise is prepared. When the real Optimus heads into battle, he makes sure to bring all of his laser guns and swords to the fight, so make sure to grab a few of our Transformers toy weapon accessories to accompany your child into battle! My little guy looks adorable in this and he gets right into character when he puts it on. He loves it! So cute!